Mine's the one with the cranberries CD in the pocket. ICL - It didn't last! Fully absorbed by Fujitsu in 2002, not long after I left! There was no such thing as a Rubik's Cube in the 1970s. OK, there was a magic cube that you could easily scramble but was harder to unscramble. I still have a vintage example from November 1979. But it wasn't until 1980 that it hit the shops and acquired the "Rubik" name. I can place it that precisely because it was my first term at Cambridge, when I regarded it as a practical exercise in Group Theory - one of the term's main courses. Dix-neuf cent quatre vingts alors!!! I shall always admire the Swiss and Walloons for their septante and huitante. It's funny to tease French nationals with and watch them pretend they can't understand, bunch of soixante-dix têtes. They're obvious words, and they make daily life so much simpler. @JulieM; You're assuming that the definition of "the 1970s" was ever *intended* to line up with the number of (whole) decades since the birth of Christ (i.e. making it a synonym for the 198th decade). However, I've not seen any evidence that this is actually the case. As far as I'm aware, the 1970s is the decade comprising years whose names begin "ninteen seventy-", i.e. 1970 to 1979 inclusive. (Wikipedia seems to agree on this; treat that with as much or as little gravity as you think it warrants). And yes, common sense suggests that this would get a bit messy as you reach the decade overlapping 1 AD and 1 BC, but I've never seen anyone trying to stretch the nomenclature that far anyway. Good of you to take the time to point that out AC. "Also, if he was born on Dec 25 then he clearly was present on earth since conception 9 months earlier on March 25 ... so that marks the start of the year - hence lots of traditional rents etc were paid on "Lady Day"." He wasn't. He was born during the lambing season, so spring-time, in 6BC. Christmas traces its routes to a pagan festival that was re-branded to be a celebration of the birth of Christ, as they figured that cancelling it wouldn't be very popular. The Winter Solistice - The point in the year when the influence of the Sun is at it's weakest, or rather than point in the year at which the Sun begins once again to wax (grow stronger) - mystically usually associated with the birth of any principal Sun God * (hence why the birth of Jesus is associated with it). Probably was too strong an association to reassign unlike the death of Jesus (which going by the old Wheel of the year based world views should be Harvest or Halloween). * Some mythologies instead had a Sun Goddess instead. No, AD includes "during" as well as "after". Think of as "After Birth of the Lord". Anno Domini, "Year of the Lord['s birth]", was shorter. And avoided a messy afterbirth reference. The fifties flowed into the "sixties" flowed into the seventies flowed into the eighties. There is no precise point in time that cultural eras shifted from one to the next. I, myself, do not associate Rubik's cubes with the seventies. Definitely eighties. Arguing about zero or one being the first of a sequence. Was this ever an issue before Computers? "Arguing about zero or one being the first of a sequence. Was this ever an issue before Computers?" I got the calculation of BP to BC dates wrong in my program for the Belfast radiocarbon lab by not taking that into consideration. I'm not sure but I think the same error was probably made when they were done by hand. It was only really noticeable when one worked out to be 1950 BP* Oops. * BP is Before Present. "Present" for radiocarbon dating purposes is 1950. Since the AD chronology was devised in 525, we either have to accept that decades, centuries and millenia begin and end at 5, 25 or 525 years past the obvious numerical boundary (*), or we have to take a deep breath and conclude that the choice of epoch is completely retrospective and, being numerate, we may as well pick the sensible one. So ... There was a year zero, just like there was a year minus one. People at the time didn't call it that, but they didn't call year one by that name either, or even year five hundred and twenty four. We've gone back to the drawing board on every single metric, and redefined them in unequivocal terms. The latest being the Kilogram. So why the Star Trek system of star dates has not gained any traction to finally kill off the vagaries of our archaic and wildly interpreted year numbering system is beyond me! At the time, people would have called 1 AD something like 28 Augustus - the 28th year of the reign of Augustus. When he died in the 41st year of his reign, 41 Augustus also became 1 Tiberius. Christians decided that Jesus was their ruler, and that all years and that henceforth, all years for ever more should be numbered as being in His reign. Therefore, 1 AD - 1 Anno Domini, 1st Year of the Lord. 0th year of the reign of the Lord Jesus Christ makes no sense at all, therefore it doesn't exist. The year before 1 AD is the 1st year Before Christ. Again, the 0th year Before Christ makes no sense at all, therefore it doesn't exist. There is the small matter that the priest who calculated the years for the AD chronology got his sums wrong, so Jesus was actually born in 6 BC, but the general idea still stands. "If there was no year zero, then the year 1980 was actually part of the 1970s"
Nearly. It was the last year of the eighth decade of the twentieth century. I remember there was a flood of young men at parties who would challenge others to scramble their rubik's cube and then attempt to get girls by unscrambling it in record time. To increase the SAD factor I would, if asked to scramble, turn away from the cube's owner while scrambling madly, ignoring his smirk. Then, when he cuoldn't see what I was doing, I would give one slice a half-turn, so the middle cubes were over a corner. That done, using the pad of my thumb, I'd gently prise out one edge-middle cube (t'was easy) and invert it, popping it back into place. I'd give the cube another few pointless twists and return it to its owner. Then I'd make myself scarce. That's how I would solve the "Rubik's" cube. People who knew me would assume I would "solve" the cube but age and treachery beats youth and skill. I taught my son the disassembly technique and he disrupted an entire math class demonstrating. You mean they couldn't spot an unsolvable cube just by looking at it? "There was no such thing as a Rubik's Cube in the 1970s. I can place it that precisely because it was my first term at Cambridge, when I regarded it as a practical exercise in Group Theory - one of the term's main courses." Indeed. I know who you got it from as well, since he was the principal, in fact possibly only, importer of the cubes into the UK at the time. I've noticed that some (photo paper) prints from the 1970s seem to tend towards red and magenta. I'm aware that movie film "prints" (i.e. projectable positive film made from movie film negatives) produced from the early 1950s onwards turned out to have bad problems with fading over time- caused by the instability of the colour dyes used. This started coming to light around the late 1970s. So I've no idea if the problems with still photo prints are caused by the same issue, and when they fixed them. (#) At any rate, I'm saying that it possibly wasn't the fault of that specific processing lab. (#) My own photo prints- from 1983 onwards- seemed fine the last time I checked aside from some slight warming/browning, which I think might have be a property of the base paper- rather than the dyes- and was correctable via simple colour balance adjustment. "So I've no idea if the problems with still photo prints are caused by the same issue, and when they fixed them." IIRC Cibachrome paper print enlargements from slides were regarded as archive quality. The contrast range was amazing - but it was expensive. In the 1970s I bought a colour print developer that was in a spray can. The idea was that the atomised spray acquired the required temperature from the air immediately - overriding any venturi effect. It worked but the contrast wasn't brilliant. Tricky to do in the absolute darkness that colour printing requires. 5247 FTW -- slides *and* negatives. Oregon Labs IIRC. Much less expensive than Kodachrome, but not as long-lasting. @ Antron Argaiv; "5247 FTW -- slides *and* negatives. Oregon Labs IIRC." Was that one of those companies that took Eastmancolor movie stock and packed and sold it for still photography use? Seattle Filmworks "[sold] motion picture film that is processed using Kodak's ECN-2 process. The film was loaded into 35mm film canisters for still photography use. [..] Seattle FilmWorks also offered "prints and slides from the same roll", using cinema print film to create slides from the original negatives. These slides fade quickly when not properly stored, and are generally of inferior quality when compared to standard E6 or K-14 processed slides." Nope. ORWO actually used different process and different chemicals for colour. So I do not quite see how it could have "repacked" Eastman-Kodak. Black and white was of course the same, but it is the same for any film AFAIK. "Black and white was of course the same, but it is the same for any film AFAIK." Processing conditions made a difference in B&W. The story goes that Kodak's Tri-X was subjected to extensive public testing to determine what speed rating to assign. They showed members of the public various prints and there was a fairly common choice of what they preferred. The public's choice had low contrast - shades of grey typical of the snapshot economical processing by consumer shops at that time. IIRC when serious photographers used the film they derated the speed and altered their processing times etc. They wanted the crispness of pure whites and intense blacks in a high contrast range. In their hands Tri-X was revolutionary. If you needed high speed then Tri-X could be "pushed" at the expense of becoming more grainy. If you wanted high definition then Ilford Pan-F was legendary - but the speed rating was slow. "Well, they are if you got all your photos developed at the Belfast Belmont labs in the 70's"
You found that as well? We've got graduation photos to prove it. @Potemkine! 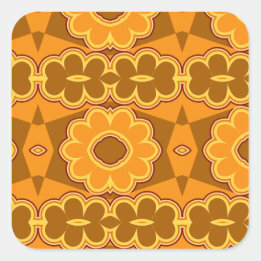 ; "The 70s were orange and brown." Don't forget mustard yellow and beige. I'm pretty sure those four together were the unholy quaternity of 1970s colour schemes. It's surprising how quickly they appear to have gone out of fashion during the 1980s. For example, I think part of my dislike of orange then- as a child of the 80s- was as much because it appeared so dated. Whereas now I really like it for certain things, particularly if it's slightly muted. Ditto the others... *if* they're used tastefully. "Don't forget mustard yellow and beige. I'm pretty sure those four together were the unholy quaternity of 1970s colour schemes." How can you forget the Lime Green? "How can you forget the Lime Green? Black and white? No way, man - I saw all kinds of colors. And smoke. And the smoke talked to me, and the lines were lik... Damn! Time for another whizz quiz? Dude, not mine - I'm just holding it for my mate. Obligatory xkcd: https://xkcd.com/457/ The best bit of evolutionary psychology out there. Do they have to be in his mouth at the time? You stupid sod! Now I have to attend the weekend strategy and inter-group synergies meeting in a damp shirt reeking of coffee. Your work is done, caffeine addict. Well played, sir or madam. Well played. Re: Do they have to be in his mouth at the time? Thank you. I like to keep my options open. "xkcd:" should be a registered application layer protocol all by itself! The best bit of evolutionary psychology out there. That's not exactly a high hurdle for XKCD to clear. Ah consultants, people who've never done a proper days work in their life. >I've personally watched hard working metalworkers and truck drivers wither away in retirement. 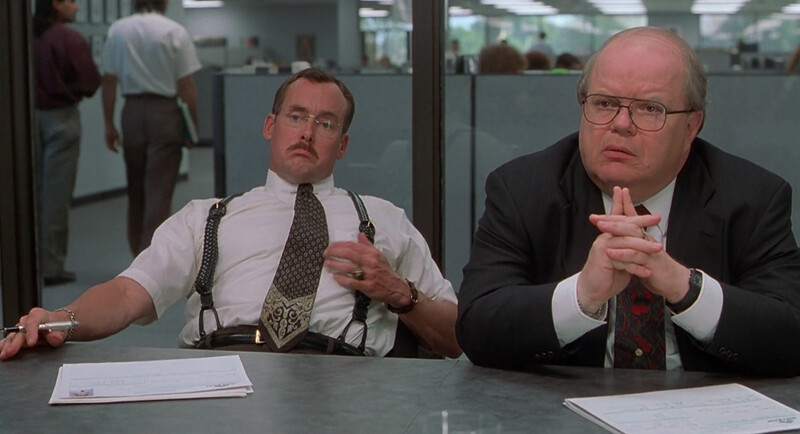 I personally have watched consultants fresh out of Oxbridge make those said people redundant with only a few years before they make retirement, seen Office Space ? My uncle died of heart failure in his farmhouse, in his favourite armchair, the night before the day he was due to retire. Gone before he knew it. You may learn that farming is hard work, especially if you've got animals to husband. No, not kind of husbandry--you there, get your mind back out of the gutter and back to work! "I was lucky enough to meet a version 2 consultant early on and so discovered the technique required to get PHBs to listen: increase your hourly rate." This is the critical factor. PHBs confuse price with value. The same information could be obtained much more cheaply by asking the employees at the sharp end who are almost sure to know the answer but obviously someone on a pay grade so far below the PHB can't have an opinion of any value. By making the opinion reassuringly expensive it becomes obviously valuable. I had a cat named Jezibel, she only came around when 'she' wanted something. Sounds surprisingly like being a consultant. I am a consultant. I regularly walk into the situation Mr Dabbs describes: everything in melt-down and a fix demanded within five minutes. As a grey-haired web professional, I can usually spot two or three easy small fixes at once, can identify the wetware that is going to be useful (often anothe grey head in the IT dept) and the ones that are the main problem, and grasp a good-ish bit of the organisational culture. It's called 'experience'. Once I prove my credentials with those quick fix suggestions, which always seem to be received as if Holy Writ, with looks of stunned and relieved amazement, I start talking to employees (as another commentard suggests) and finding out what the deep problems are. I write up my thoughts and offer to stay to project-manage the solutions, that is, I own what I think and am willing to prove it. So far, I seem to be valued at my daily rate. It's embarrassing that it's usually common sense, knowing how to handle big egos, and 'have seen this before' that is the secret magic, and this magic commands the big bucks. Re: Did not even get the cube right! You do know that only half of the faces are shown in the picture... or are you saying that the arrangement of squares is not possible and all nine blue squares would have to be shown on the three sides in the picture? I'm guessing hauwei went quiet after a little testing indicated a lot more development down the line. Given a Lego Mindstorms can solve a Rubik's cube, it's really not that intelligent. Also it's a well-understood algorithm. Now, if they were introducing machine learning that could be given a Rubik's Cube without any understanding of it, and learn independently to solve it in a manner other than brute force, that would be impressive. "Given a Lego Mindstorms can solve a Rubik's cube, it's really not that intelligent. Also it's a well-understood algorithm." I thought the Rubik's cube was the perfect analogy for AI mastery - it looks impressive if you don't understand the problem to be solved. Impress the girls with your snake...? Unfortunately the only 'girls' impressed were maiden great aunts. That sounds a great job. Have you hacked my Google Play account? I think you are confusing consultants and consultancies. The latter are the ones where the (mainly sales) staff get shouted at on Monday morning to go out and get more billable hours. The former are the non-retained individuals who will actually do the work. But what if someone can solve it a rubik's cube in 20 seconds. I am a 16 year old high-schooler, and I only read the title, so I'd just like to point out that the Rubik's Cube is how I prove my intelligence. I am able to solve the Rubik's Cube in about 20-25 seconds under the right conditions (it's not cold where I am, I'm not tired, etc). So, now I'd like for everyone to give me attention and feed my huge ego, thank you. Blue Peter neu Magpie? Pah! Apart from Rubic Cubes not being 1970's, they are still on sale and still modestly popular today; we have only one left in stock after a run over Black Friday "week". It was parents who thought their kids should be watching Noel Edmunds on Swap Shop, and the cool kids who wanted to watch Sally James in leather and denims on Tiswas. Several of my bosses thought my "downtime" a waste of resources and wanted me to use if for their "useful" unrelated tasks. To hit the ground running in an emergency takes constant practice where a misstep isn't a fatal failure. What were they thinking? That much is obvious: they were thinking about something else. Perhaps the consultant who came up with the idea was pitching to a Russian client while working on the Huawei account and got distracted." Shurely you mean a Hungarian client? Re: What's the Russion connection?